In recognition that we are all spiritual beings involved in individual human experiences, representatives from like-minded groups (i.e. 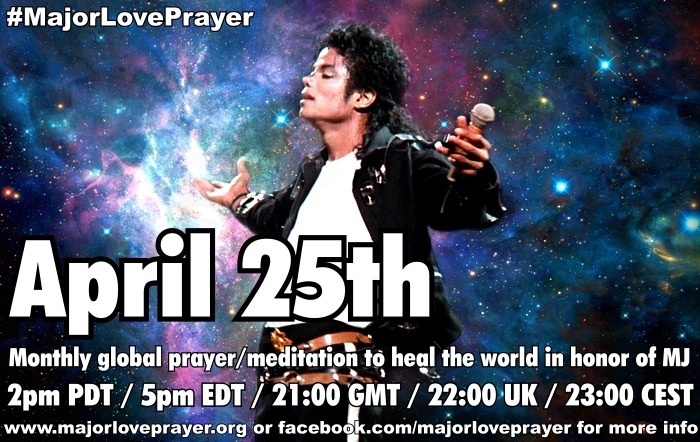 Call for Love, Dancing the Divine, Michael's Circle of Love and Major Love Prayer) are beginning a joint "Change the World" initiative on February 23, 2015. Our aim is to focus and direct our daily prayer/meditation/visualization intentions toward uplifting our world with LOVE in the coming months. We are here to change the world! The purpose of this initiative, inspired by our previous "Come Together" intention campaigns (THANK YOU to ALL who joined C.T.! ), is to appeal to the spiritual, "higher" selves of our policy makers, youth leaders, media representatives and educators on an ongoing basis... to hold them in the light of love and compassion, where they can view the world from a more humane, less ego and fear-based perspective. This is a daily prayer/meditation that can be done any time that's convenient for you. The only "twist" is that Monday through Friday there will be a different focus group to direct your intentions to (see schedule below). Otherwise, it's the same principle we follow when we're "sending out a major love" every 25th! ♥♥♥ 1) LOVE ~ We begin by breathing deeply and quieting our minds. Gently allow yourself to begin feeling as much LOVE and JOY as possible, by letting go of worries and daily stress and focusing inward and upward, into the heart of divine COMPASSION that connects all of creation. LOVE! Breathe it and let it flow within you and through you. You may visualize yourself glowing in beautiful, shimmering LIGHT energy - protected, peaceful and filled with LOVE. ♥♥♥ 2) INTENTION ~ Next, begin directing your thoughts toward the daily intention (see below). Depending on your location, preference and current events, you may focus more locally, nationally or globally, but the important thing is to HOLD THEM IN LOVE, LIGHT and COMPASSION - visualize and feel them surrounded in an amplified field of UPLIFTING higher-vibrational energy that can be used for positive inspiration and spiritually-oriented encouragement. You may ask a higher power to assist with this. Hold this intention for a few minutes, ideally. --- Monday - Holding policy makers and government officials in the light of love and compassion to gain humility and higher wisdom in directing the ongoing spiritual evolution of our respective countries and provinces. --- Tuesday - Holding youth leaders and youth culture in the light of love and compassion to open them to compassionate methods of conflict resolution. --- Wednesday - Holding religious leaders in the light of love and compassion to open them to fruitful ecumenical dialog that focuses on common ground rather than difference. --- Friday - Holding educators in the light of love and compassion to reach for a holistic approach to education that respects students' unique learning needs. -- Weekends - will be devoted to unspecified topics, personal intentions and general love and light visualizations toward our beautiful Mother Earth. ♥♥♥ 3) RETURN Slowly come back to the awareness of your body and softly, with gratitude, "let go" of today's intention, wishing them all the best, and that the uplifting energy stays with them as needed. Focus again on your breathing and feel the seat, bed or floor beneath you. Connect again with the ground and your day, strengthened in your own resolve to lovingly and actively CHANGE THE WORLD. Now, open your eyes anew! I am so loving this! Wow! Love is the answer and our focused intentions and sending our love to these key areas will have a big change. Let us all do our best to be fully present in these prayer times. As Michael said no one else is going to do it.. "Oh, THEY'll do it... the government, they... they - who?! It's *us*... or it will never get done!" I pray for peace and truth every day. I am so blessing of you. God bless all of you and thanks so much. 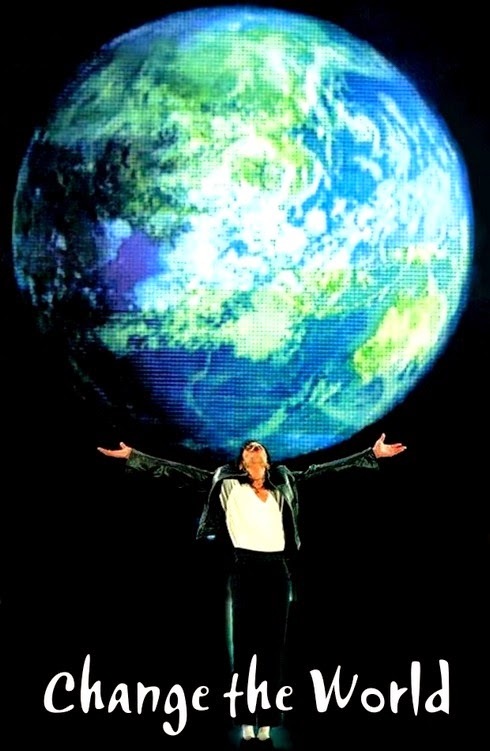 I always pray for Michael please you do to prove Michael is best forever. Praying for neighbors to get along, for nations to get along, and for all who have interpersonal differences to get along.